Being a knowledgeable and supportive partner isn’t necessarily intuitive. Between your pregnant partner’s body changes and countless appointments, it can be challenging to keep everything straight and know what to expect. You play a critical role in providing support during pregnancy, birth, and advocating for safe care. Check out nine tips below to help you prepare for the journey. 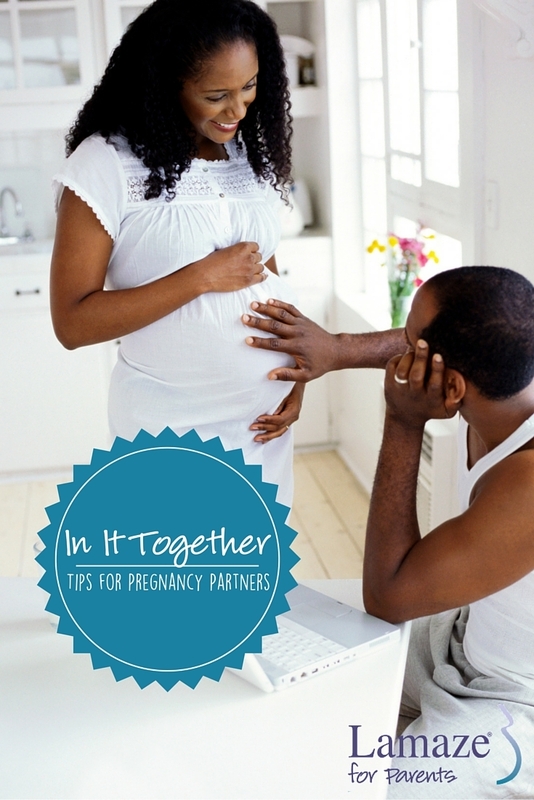 Talk openly with your partner about the pregnancy and both of your hopes for parenthood. Discuss how you will share responsibilities, and your unique contributions. Go to prenatal visits. The appointments provide a great opportunity to learn what’s going on with the pregnancy, to connect with your partner, to become comfortable with the care provider, and help prepare both of you for labor and birth. Contribute to planning. Labor and birth can be a dynamic process, so it’s important to work together to create Plan A, Plan B and Plan C.
Take a childbirth education class together. A class will help you learn about different options for labor and birth, and gain a better understanding of what to expect on the big day. Recognize the signs of true labor, and remember that labor is typically a marathon, not a sprint, especially for first-time parents. Learn about techniques to help minimize the pain, and make sure you can access pain management tools, such as a massage ball, shower and birth ball. Be ready to step in and advocate for your partner’s preferences by working with healthcare professionals to get information on the options you have, especially in difficult situations. Advocate for immediate skin-to-skin contact, and support a good start to breastfeeding. Be prepared to welcome baby into the world. Birth is typically exhausting for both mom and baby; you can help by managing visitors, rocking baby to sleep after feeding, and making sure mom is fed and gets rest.